Oh no, the eponymous post. I contributed a post to a group blog thing that Mars Needs Guitars is assembling for “favourite shoegaze songs” and while I didn’t choose a Ride song, I did think that maybe it was a good time to talk a bit about their song that inspired this blog’s name and the band in general. “Chrome Waves” appeared on 1992’s Going Blank Again – a record which does now and likely always will appear near the very top of my favourite albums of all-time list. It’s not, however, my favourite song from the album. Not even close, actually – that title goes to the supreme pop joy of “Twisterella”. It doesn’t even contain any of my favourite individual moments on the record. The fuzz bass of “Time Machine”, the hard tremolo guitar riff in “Cool Your Boots” (as well as the Withnail & I intro), the insane drumming in “Mouse Trap”, the pipe organ lead-in and synth lead-out of “OX4″… No, what “Chrome Waves” has is a great title. I just found the phrase incredibly evocative, like afternoon sun reflecting off a hundred windshields in a downtown traffic jam, locked in by a valley of steel and glass skyscrapers. Yes, that is actually what it says to me and that is why I chose the name. Because I want my site to conjure up the feeling of being stuck in traffic, preferably in the blistering heat. That, and the domain name was available. But not the .com, though I don’t think there’s anything there. Here’s the original album version of the song – as I said, while it’s not my favourite track off GBA, that’s more a statement on the greatness of every other track on the record rather than a slight against the song itself. An alternate version of the song also appeared on the Leave Them All Behind EP but was curiously left off the Going Blank Again reissue from 2001, even though the other b-sides of the time were appended as bonses. And Mark Gardener, who has recently resurrected his musical career after taking a few years off, has made the song a staple of his live shows. Here’s a solo acoustic performance of said track at SxSW 2003, one of his first after coming out of retirement, and there’s many more to be found here. And if you don’t know Mark Gardener’s connection to the song, here’s a visual aid (courtesy of Brad, via this post). And surprisingly for a band that’s been officially defunct for a decade, there’s Ride news to be had! They were featured on XFM’s Breakfast Show last week in a “Missing In Action” piece where she interviewed Mark about the going-ons with the individual band members. Alas, they have no archives. But some stuff Mark might have mentioned – besides his own new album These Beautiful Ghosts – is that drummer Loz Colbert is getting a new project of his own together in between drumming gigs for the likes of Supergrass and JAMC’s Jim Reid. You can check out his MySpace for some demos and to file under irony, one of the best drummers in the UK is – get ready for it – looking for a drummer for his band. Rimshot. Also potentially good news is that Andy Bell is putting together his first proper solo record and is working with Kalle Gustafsson Jerneholm from The Soundtrack Of Our Lives to do so. I say “potentially” because Andy’s track record without Mark has not been good. Witness Tarantula and Hurricane #1, and I’ve not heard whatever he’s contributed to Oasis. He talks a bit about the record with radiosonic.it. While the last few years have been good to Ride fans in terms of archival materials (best of, box set, BBC sessions), there had still been the promise of a Ride DVD for us to feast our eyeballs on. Alas, the footage that was meant to be the centrepiece of the collection – the band’s triumphant Reading 1992 performance – was lost by the company that recorded it and the whole project has been shelved. But all is not lost – thanks to the wonder of YouTube, all of Ride’s videos from the earliest EPs through Going Blank Again have been archived online. It’s like having a portion of the Ride DVD, except streaming and of dubious sound and video quality! Awesome! Want more? Ticket 2 Ride has a complete Ride concert in Italy, circa 1992, available to download, there’s a fan-maintained MySpace and this isn’t the first Ride retrospective I’ve done but it’s certainly the most media-heavy. And I’m not done. The live “Like A Daydream” comes from the truly excellent Waves collection of BBC sessions here are three versions of “Vapour Trail”, which really is their signature song. The first is the original version off Nowhere, the second is taken from a 1991 gig at Wembley Stadium that was part of the Overdrive bootleg and the last is from one of the shows Andy and Mark did together in Stockholm circa 2003 (see above). Pure sonic perfection, every one. Special thanks to the Ticket 2 Ride fansite for providing many of the materials and links used in putting this post together. Wow, one way ticket to nostalgia-ville. Couldn’t think of a more perfect post to start my Monday morning with. Thanks, Frank. Great read. I quite liked the Animalhouse album. And that would have been interesting if Andy Bell had joined Gay Dad, cause I really liked them. Nowhere and Going Blank Again are incredible. They still hold up really well regardless of the shoegaze tag. Also, I think Carnival of Light is vastly underrated. I am still holding those 12"s for you, so they are yours for the taking whenever you want! I have to say that I never liked Going Blank Again. Tuneless drivel. Stick with Nowhere and the Smile ep, and you’re doing fine. if your blog had been called something different i probably would have started reading it eventually, but it definitely made me that much more interested that the name was a ride reference. Angry Dad – WRONG. Next. I don’t know about the "ditzy" comment, but I do love both of Idha’s albums. Thanks for sharing !!! One of the best band of the 1990’s !!! "Carnival of Light" is still underrated !!! Fortunately, the .net URL of my favorite Ride song ("Drive Blind") was available for my website, though "Twistarella" is probably a close second. Thanks for the great post! I have a friend who I’ve just convinced to get a bit of their stuff, so I’ll point him here for starters. awesome post Frank, really well done. 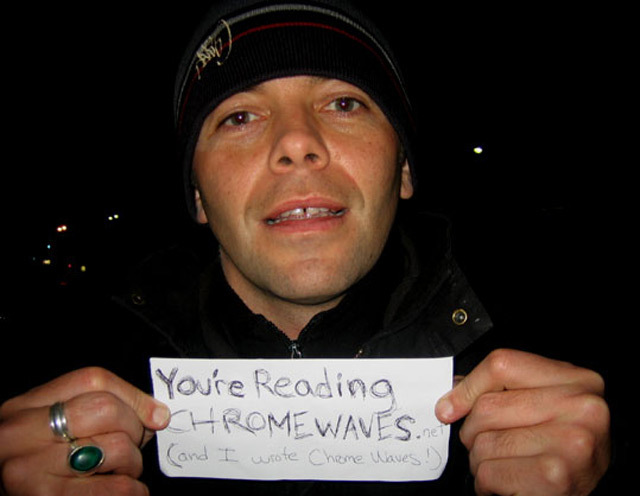 i ADORE "Chrome Waves" and Going Blank Again. Brilliant post! 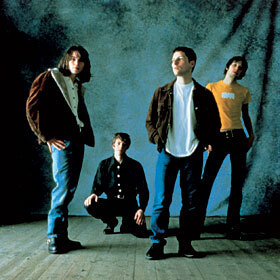 Ride, one of the best bands of all time, in my opinion, never got the full respect they deserved (too many people had their opinions guided by the NME;"Build them up, knock them down"). Hopefully, posts such as this will draw more attention to their genius. Top job. great blog, i always check the cover on sunday. lastly, I even like Tarantula! All this talk, on all these blogs, about shoegaze, and no mention of House of Love. The irony of Ride opening for them must tickle Guy…? as a big Ride fan, I’m sure you know/have this… but the Divine Comedy take on Vapour Trail is just phenomenal. Get me more links or mp3 from Ride … thanks !! !